Classic furniture is both traditional and elegant, and the one thing we can be sure of is the furniture will not be boring. Shopping for classic furniture does not have to be a time consuming and expensive affair. 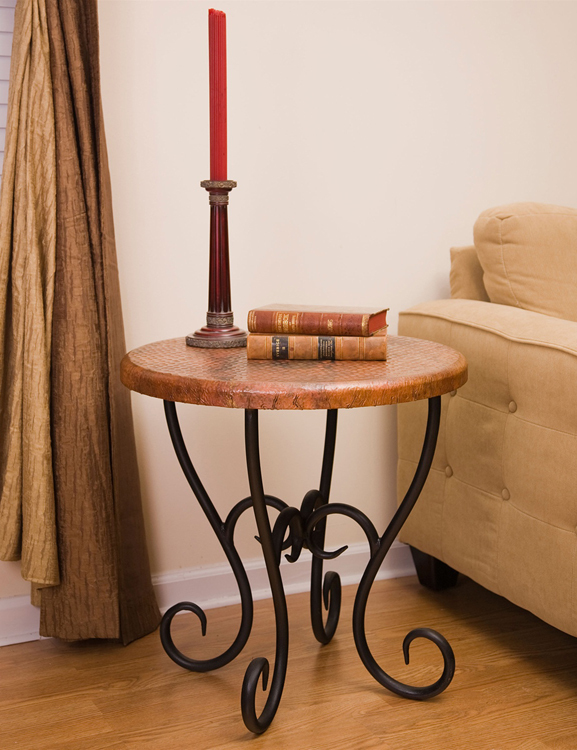 The simple addition of timeless corner tables made from wood and wrought iron can bring a different feel to the room. Better yet, these timeless pieces blend with every possible type of living room design. The more timeless and traditional the furniture, the longer it stays in vogue. This style of interior decoration is easy to change periodically by the simple act of changing a couple of pieces of furniture and rearranging others. Another thing for would-be interior decorators to remember is that the classic style is not based on one single aspect. There are many aspects including traditional, country style, nonchalant elegance and beyond. 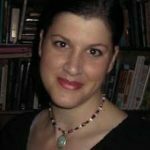 It’s all boils down to what connotation the word ‘classic’ has for the individual. 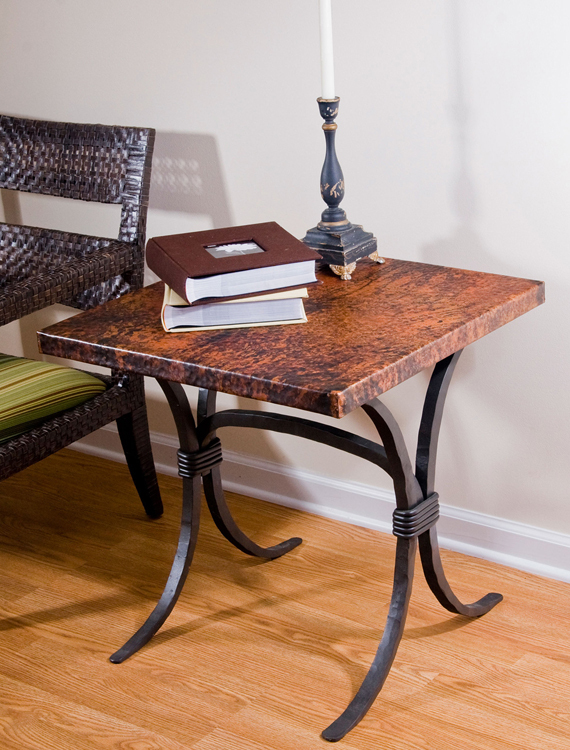 Country styles are generally rugged and wrought iron furniture pieces such as corner tables will suit admirably. 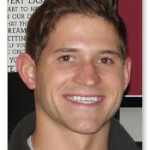 Contemporary classic style is all about somber dark colors and formal classic lays greater emphasis on a mahogany tone. Let us look at some examples of how well classic corner tables match living room décor of just about any kind. Take refined comfort as we call it – that oh so casual look coupled with an insouciance that cannot be ignored. 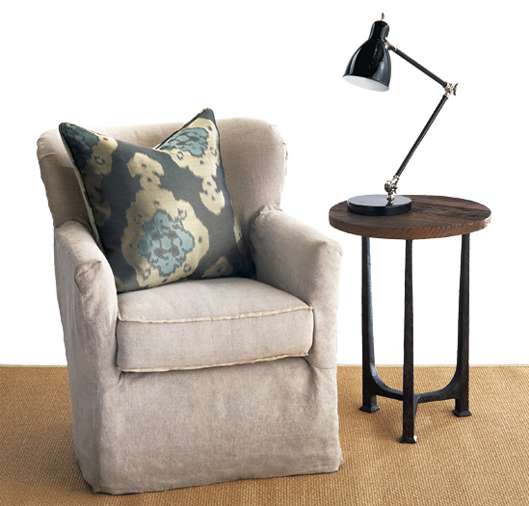 Pair up chairs with slim profiles and crinkly slipcovers with wrought iron and wood corner tables holding lamps or other bric-a-brac. The end result is a combination of sophistication and comfort that is hard to beat. Here’s another idea for the adventurous at heart! Try a combination of rattan chairs with vividly patterned cushions. 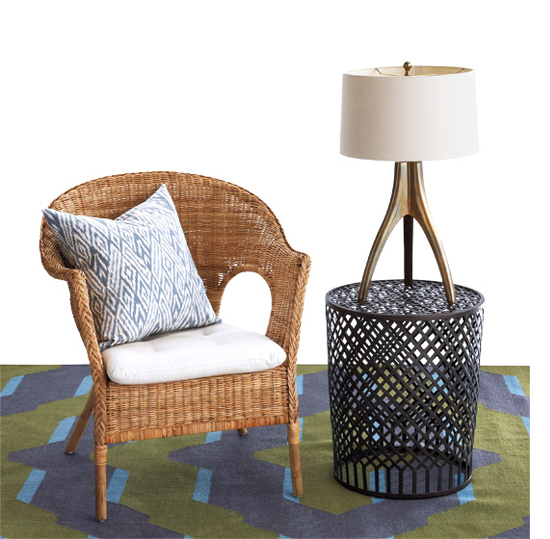 Place the chairs on dhurrie rugs that are just as bold; now pair the chairs with hand-woven iron corner tables. The result – a uniquely global touch imported straight into the living room. Classic furniture is beginning to receive more appreciation as buyers look for a combination style of traditional and laid-back. The main reason may be attributed to the relaxed ambience and comfort classic furniture lends to the room. Often redecorating the living room only requires the addition of a few classic corner tables. 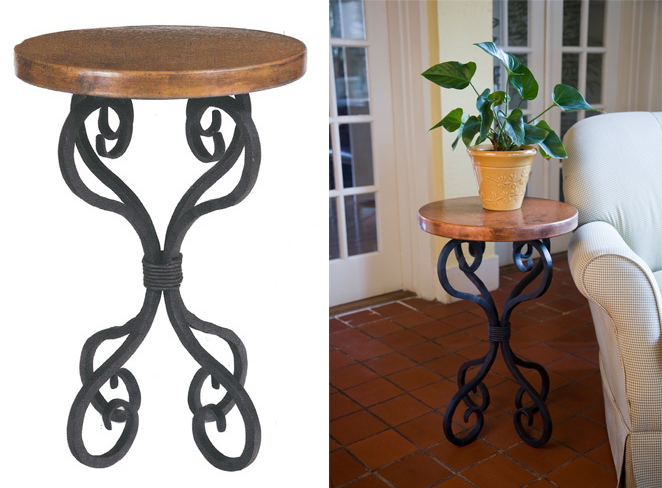 Handmade wrought-iron tables have become quite the rage; handmade products extend to a variety of lighting fixtures and other products as well. All of which can be carefully selected to bring a sense of timeless into the home. Here’s a concept people are sure to love –classic style with a modern twist. 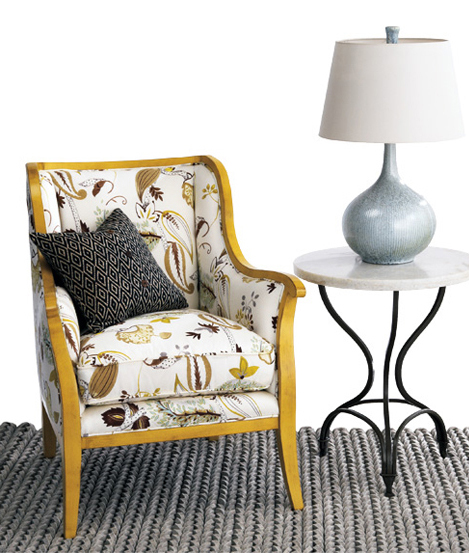 Try bold fabrics and vividly painted wood frames for a new take on existing furniture. But that’s not all by a long shot, go for the subtle with the additional elements such as the wrought iron corner tables to hold the lamps and boldly patterned contrasting cushions for the chairs. Anyone aiming for a restrained romantic effect may like to try combining club chairs with classic corner tables, velvet or silk covered cushions, antiqued lamps and distressed rugs to provide the focal point of the setting. The grounding effect should come from the wood and wrought iron corner tables added to lend a slightly masculine touch to the room. Redesigning a room can be as much fun as you want it to be depending on how creative you can get. You are sure to find items to fit whatever budget you have even it means only changing the corner tables for a whole new effect. For everyone who feels they simply must rush out and buy some beautiful, timeless classic wrought iron corner tables visit our website. Interested buyers are bound to find some real treasures among the store’s offerings. A quick peek into what the store has to offer – plenty of choices for designers, contractors and self-styled home decorators. It is possible to find some of the finest wrought iron furniture from corner tables to more fancy beds and a variety of accessories; from the rustic to the contemporary. Customers will enjoy browsing through the best brands in the wrought iron industry including Bella Toscanna, Napa forge, Charleston Forge and more.